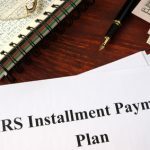 Several of the most common IRS penalties are discussed by Nick Nemeth, a tax attorney who created a law practice in Dallas that has thrived and become very successful over the last 15 years. 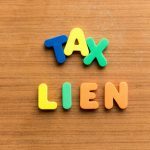 Dallas, TX –July 1, 2014,– An article that discusses possible IRS penalties has been published by Nick Nemeth on his home website online. As the lawyer responsible for starting an accomplished legal practice that only does tax cases Nick Nemeth started providing assistance and advice to taxpayers many years ago. 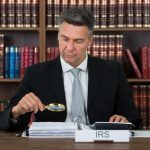 The latest article published is under the title “IRS Tax Controversy: Six Ways the IRS Will Make Your Life Miserable if You Owe Them Money”, and it explains why the IRS reputation as the government agency that is so hated and unpopular is well deserved. 1. The very first way that the IRS penalizes a taxpayer for not paying any tax debt owed is to start racking up the financial penalties and interest amounts. As soon as you have a tax debt that is owed and not paid the IRS starts to increase the amount that you owe them, and this only gets worse as time goes by if the tax debt is not paid off. Eventually you may find that you owe almost as much in penalties, interest, and other added amounts as you do for the initial taxes. 2. The IRS can turn your existence into a living nightmare with harassing phone calls, threatening letters, an in person visits, making you apprehensive to answer your phone or look in your mailbox. This is often the first step in the collection process, and an opportunity for the IRS to try to intimidate you into compliance. The barrage of letters and phone calls can be very disconcerting or even cause panic to set in, and that is what the IRS wants so that you give in and pay up. The aggressiveness of these communications may escalate over time. 3. If the added penalties, extra interest, letters, calls, threats, and bullying correspondence does not work then the IRS could send an agent to visit with you at home or even at your place of employment. This is not intended to be a pleasant experience for the taxpayer, the hope is terrifying the taxpayer into submission so they comply and pay what the agency wants just to make the problem go away. The agent who visits you will not be friendly, and they will be sure to explain your tax situation in the harshest terms possible. 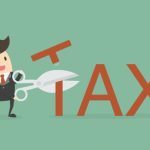 The Nick Nemeth Law Office has helped many individuals and business owners who are situated in Dallas and nearby regions put an IRS tax dispute behind and move forward to a brighter future. Over 15 years ago Nick Nemeth decided to specialize in tax law, helping business owners and individuals fight the IRS with favorable results. Over the last 2 decades Nick has also published a number of best selling materials which have helped taxpayers immensely. The IRS can be very frightening, and attorney Nick Nemeth has built a successful law practice so he can help taxpayers avoid common and costly mistakes.